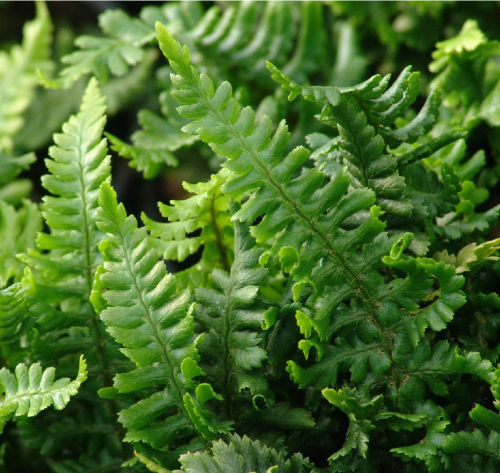 AGM fern Evergreen, height to 30cm. A beautiful dwarf variety of the Male Fern. It is a dark, rich green which stays that way even in full sun, one of the few ferns to do so. Not fussy on soil requirements or site. It thrives if in sun, semi-shade and full shade, even dry shade. It makes a great fern for a small container as well as the front of the herbaceous border where a little evergreen can be useful.